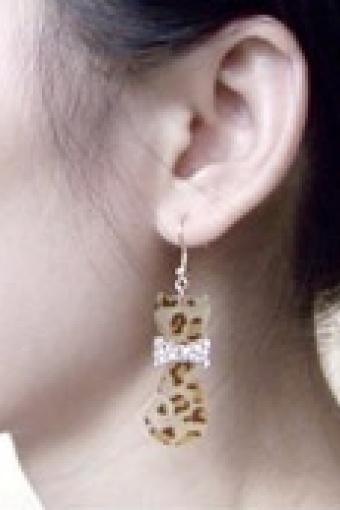 Go Leopard bow earrings by From Paris With Love!. 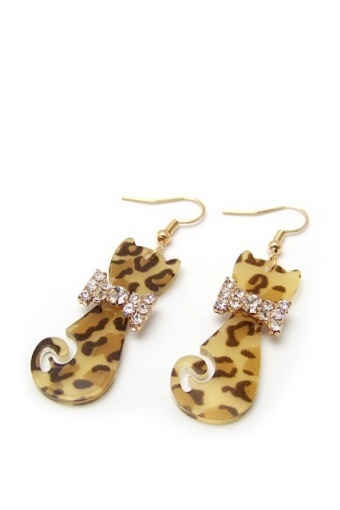 Sweet and edgy these Leopard earrings with cute strasstone bow made from gold tone metal. Nikkel tested. Total lenght 4 cm 1 inch = 2,54 cm.